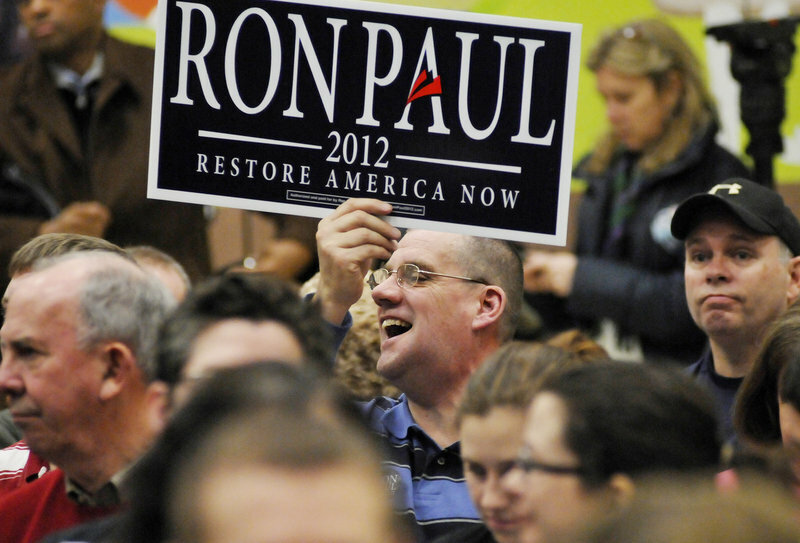 Maine's elected delegates support Ron Paul, and Republicans may want to keep away anyone who doesn't fully back Mitt Romney. 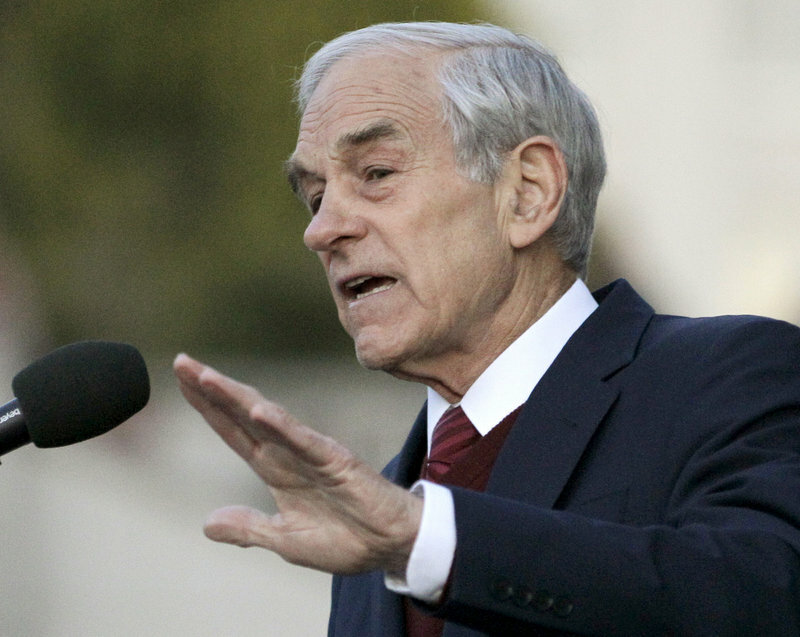 WASHINGTON – Twenty Maine delegates loyal to Ron Paul were still at odds with national party leaders following negotiations Tuesday over whether they will have seats at the Republican National Convention next week. Mark Willis, one of the delegates, said he and the others rejected a compromise offered Monday night that would have allowed Paul to keep some delegates while giving others to Romney. Louisiana’s delegation agreed to a similar deal Tuesday and Massachusetts delegates were close to doing the same, The Associated Press reported. Willis said talks were continuing Tuesday but that none of Maine’s Paul delegates or alternates were willing to switch their support. Romney has 1,575 delegates going into the convention, which starts Monday in Tampa, Fla., according to The New York Times. He needs only 1,144 to secure the nomination. The dispute involves 20 of Maine’s 24 GOP delegates. Tuesday’s talks come roughly three weeks after Maine Republicans Jan Staples and Peter Cianchette – both Romney supporters – filed a challenge with the RNC’s Committee on Contests the legality of Maine’s 20 Paul delegates. Staples and Cianchette argue the delegates were improperly elected at a state GOP convention in May that they say was marred by illegal votes and parliamentary violations. The committee had been expected to release a recommendation Tuesday on that challenge, but none was issued. The Maine dispute is part of a larger, national party controversy involving Paul supporters. Although Paul can’t win the nomination, his supporters demand that he be recognized in some way at the convention – ideally with a prime-time speaking role. conventions, including Maine’s. National convention organizers are concerned that Paul supporters will disrupt what is intended to be a show of unity for Romney and his vice presidential pick, Rep. Paul Ryan of Wisconsin. Under the deal reached with Louisiana Republicans, Paul will get 17 of the state’s 46 delegates, Charlie Davis, Paul’s campaign chairman in Louisiana, told The Associated Press. The rest are expected to support Mitt Romney, the party’s presumptive nominee. Jesse Benton, Paul’s chief campaign strategist, said Paul’s supporters were close to reaching an agreement on divvying up the delegates from Massachusetts. “Maine is still unsettled, but talks are continuing and the conversation remains respectful,” Benton said in an email. Earlier Tuesday, Maine delegate Brent Tweed said he and the other Paul supporters still planned to represent the Texas congressman at the convention. If the RNC recommends against seating the Maine delegates, it would be a political, rather than procedural, decision, Tweed said. Maine’s Paul delegates had rejected an earlier compromise offered by Maine GOP chairman Charlie Webster that would have required delegates to support Romney if Paul was not formally nominated at the convention. Paul needs a plurality of delegates in at least five states to automatically receive a prime-time speaking slot. Staples has said that she challenged the 20 Maine delegates because she believes numerous rules and procedures were broken during delegate selection. Those violations include lax credentialing and security that allowed unauthorized persons to vote, lack of a quorum and procedural problems. The 20 state delegates from Maine have additional options if no deal is reached to seat them. The Committee on Contests’ recommendation will be sent to the convention’s Credentials Committee, and the delegates could appeal when that committee meets later this week. Convention delegates can also attempt to amend the unofficial slate of delegates before it is adopted on the convention floor Monday. But because the 20 Maine delegates would not be on the floor, they would need other delegates to propose the amendment, which is unlikely.